Kazimir Malevich’s “Woman with Buckets” is a bright work of avant-garde art written in 1912. Now the picture is in the collection of the New York Museum of Modern Art. The style known as the Russian avant-garde is characteristic of the art of the Russian Empire, and then of the Soviet Union from 1890 to 1930. At this time, inside the avant-garde movement created a lot of sub-styles, which have their own unique distinctive features. 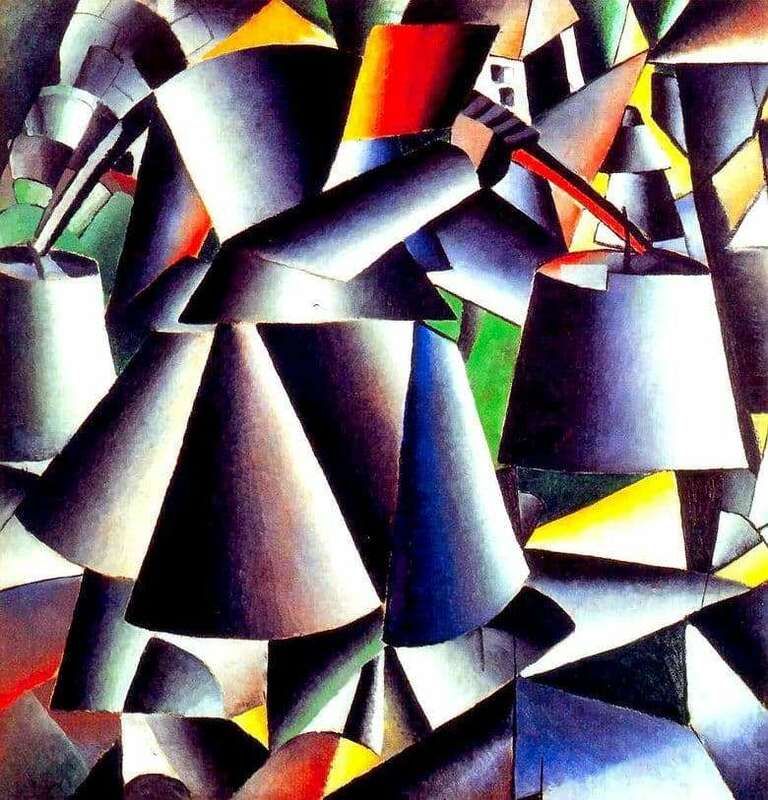 One of these sub-styles was Suprematism, a movement founded by Kazimir Malevich and characteristic of his entire painting, including “Women with buckets”. Suprematism also has a limited set of colors. The society reacted to the movement with distrust, it was criticized by the authorities in the Soviet period, because then social realism prevailed on the territory of Russia. With careful consideration, in the picture “Woman with buckets” the figure of a woman is vaguely identified, as well as the buckets that she carries. The overall palette consists of cool colors dominated by blue and gray shades, although accents of red, yellow and light ocher add visual dynamics to the composition.